Raeanne (Reed) and the Ride will be performing at Robert's Point Park for the April Sunset Sounds! 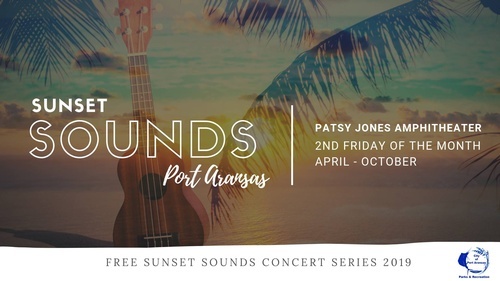 Sunset Sounds will be held the second Friday of the month April through October from 7 to 9pm. Meet at the Patsy Jones Amphitheater in Roberts Point Park, 301 J.C. Barr Blvd. Watch the dolphins and ships pass in the Corpus Christi Ship Channel and sun set. Bring a chair or blanket, and food or drink you want, friends and family and enjoy. Four-footed friends that behave are invited if leashed. It is kid-friendly with the playground within sight. The Hot Dog Lady will be there selling hot dogs if you don't want to bring food.